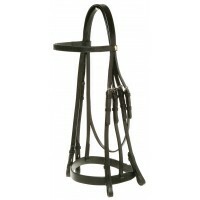 Quality English leather made in the traditional style. 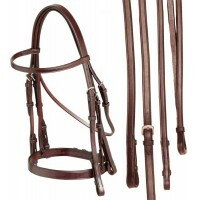 Plain 5/8" browband, 1" Cavesson noseband and..
A fine, flat noseband and browband weymouth bridle. *N.B. 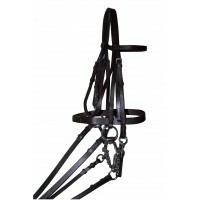 Bits not included Black or Ta..
Weymouth Bridle - Flat "Signature"
Features flat browband and noseband with plain reins. Black or Brown leather with Stainless Ste..